Believe in your capabilities, intelligence and achievements! Women are forging their own paths and moving forward facing the challenges of creating a balance between juggling family and career. These are times of boundless opportunity and we must not falter in believing in our capabilities, intelligence and achievements. 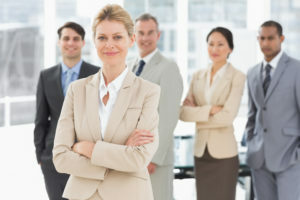 Women who harness their unique power to multitask, lead intuitively and build strategic, collaborative relationships are invaluable assets in all fields of expertise and industry. In this workshop, we focus on breaking down barriers to success and identifying negative, weak messages that impede our innate abilities. The ultimate goal is to transform them into messages that inspire mutual respect and cooperation. Working together in harmony can do wonders for an organization’s competitive position and for the individual’s prospects for advancement in their chosen industry. Make powerful presentations to the Board of Directors.